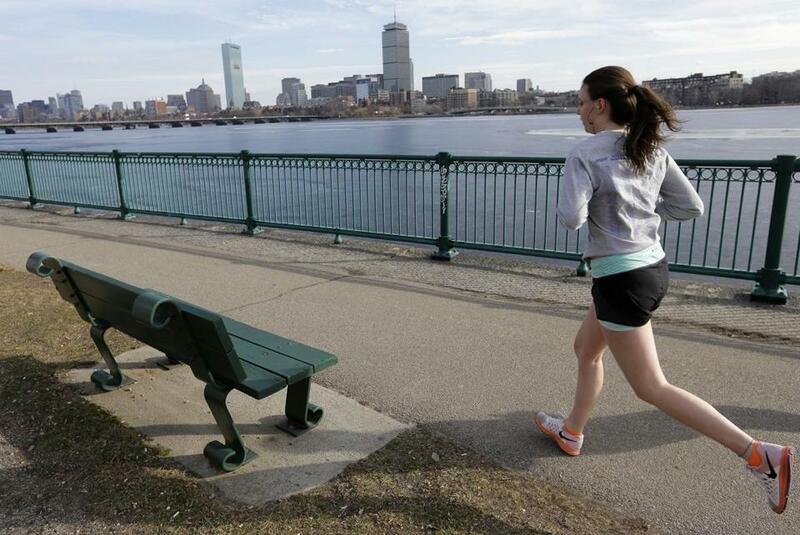 A runner made her way along a path next to the Charles River Monday. Love may be in the air soon for Valentine’s Day. But spring is already in the air in the Greater Boston area, as temperatures flirted with record highs Monday afternoon. At 1 p.m., the temperature in Boston reached 65 degrees, just shy of the 1989 record of 66 degrees, the National Weather Service said. There is a possibility of a slight shower later Monday. Temperatures are expected to drop into the 30s overnight. The temperature record did fall in Providence as the mercury hit 65 degrees, beating the previous record there of 64, set in 1989. Temperatures Tuesday will be “a tad bit cooler’’ than Monday with highs reaching into the low 50s amid abundant sunshine, forecasters wrote. But by Wednesday, rain with some heavy showers and some thunder is expected to arrive with strong winds up to 40 miles per hour, forecasters wrote. Temperatures will reach the high 50s in some areas. Sunday was the last day of a month that was unusually warm and low on snow, particularly compared with last year, forecasters said. This January, the average temperature in Boston was 32.5 degrees, with the warmest day reaching 58 degrees on Jan. 10. Normal temperature for the month is 29 degrees. Last January, the average temperature was 26.1 degrees. Only 9.5 inches of snow were recorded this January. The normal snow amount for the month is 12.9 inches. Last January, Boston saw a staggering 34.3 inches of snow, with a major blizzard at the end of the month, which kicked off a nightmare February. 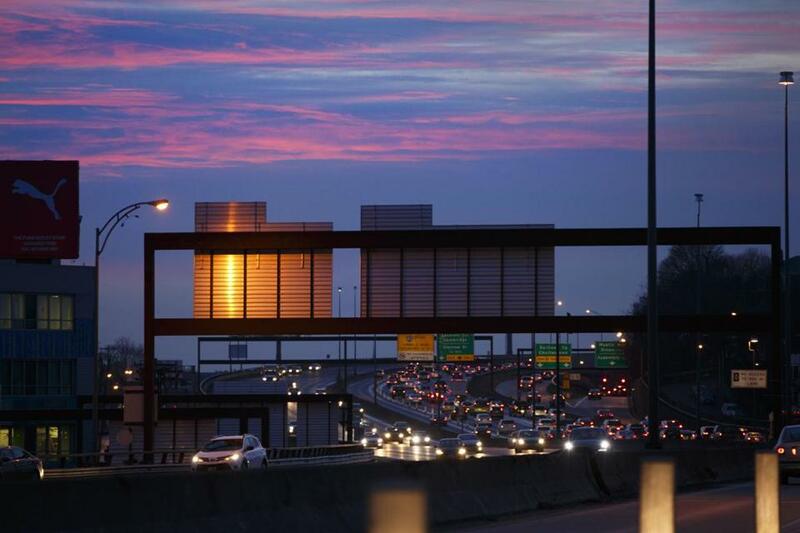 Traffic was slow on Interstate 93 in Somerville as the sun rose Monday morning. Globe correspondent Alexandra Koktsidis contributed to this report. John R. Ellement can be reached at ellement@globe.com. Follow him on Twitter @JREbosglobe.